Will the ‘Real’ Gentrifiers please stand up? Categories: Community Engagement, Creative Class, Gentrification, Robin Hood Gardens, Urban Geography | Permalink. 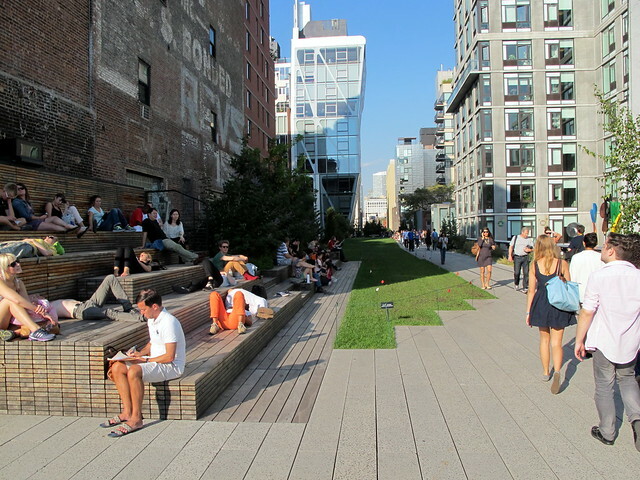 Apparently, the High Line in New York City has been quite successful. It may have passed you by as there hasn’t really been anything about it in the press or the television or all over twitter, but it seems that many people quite like it and now every city worth it’s salt is engaging in ‘blue-sky’ thinking and coming up with ever-more ‘creative’ and ‘innovate’ ideas. From ‘Lido Lines’ to ‘Low Lines’ to ‘Insert-generic-antonym-here Line’, cities are now investing in revitalising old disused infrastructures to create new public spaces that the public can engage with. ‘Re-imaging our cities for the 21st century‘ is how one article put it. This really was the straw that broke the camels back for me, and now, the High Line mania, it seems has well and truly ‘jumped the shark‘. The problems with the viral-like spread of the High Line-like phenomena are multi-faceted and I would wager than different people will have their own particular issues with it. But there are two main problems that have ‘surfaced’ because of city’s scramble to enact a High Line-like policy; first, the rush to gentrify with gimmicks, and second, the diversion of scarce public funds to do so. Categories: Community Engagement, Gentrification, Human Geography, Urban Geography | Tags: The High Line | Permalink. Having spent the last few years studying cities and extolling the virtues a more inclusive, democratic and less hegemonic urban environment, it was with a certain amount of exasperation that I recently heard some sad, and quite frankly, bewildering news concerning my home town of Guildford. For years now, there has been (essentially, a one-man) campaign to get an independent cinema built in Guildford. Mark Gudgin has lobbied the local government for well over a year (as far as I know anyway, it may well be longer) in order to get planning permission for various sites in the town centre to be converted into The Guildford Picture Palace. To cut a long story short, last week, the local council decided that 170 High Street, the site that Mark and his supporters were hoping to convert, is to be rented by a “fashion retail outlet that does not currently have a presence in Guildford”. 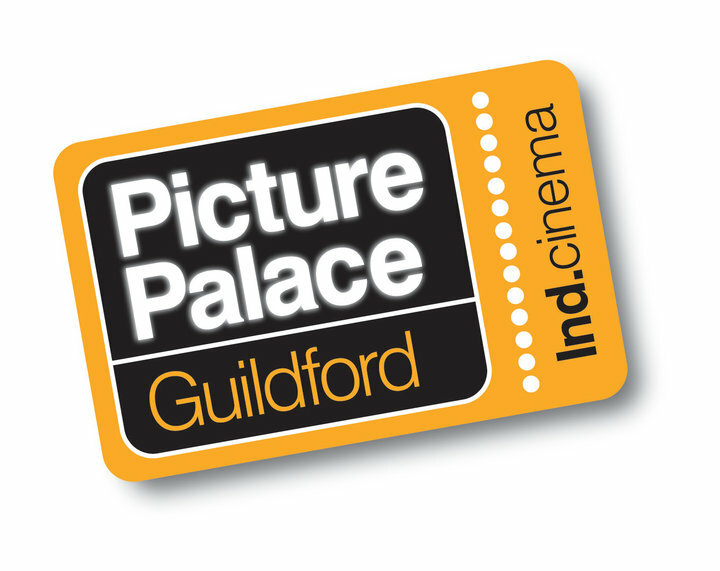 Categories: Community Engagement, Culture | Tags: Guildford Picture Palace | Permalink. The global economic downturn has forced us all to re-evaluate our economic, social and personal assets. A panacea that is often heralded for the general community malaise that is a consequence of the global crisis is community engagement and increased civil participation. This can take many forms, however a key arena is local politics. The UK government is trying to encourage local people to engage with their local governments in order provide solutions tenable to the local situation. The release of a decentralisation Green Paper by the Conservatives ‘Control Shift‘, released in February 2009, which stated the aim was to give more power to local councils and people, echoed many of the sentiments of the less recent (July 2008) white paper by Government’s Communities and Local Government department (CLG) ‘Communities in control: real people, real power‘, which signaled the governments commitment to “shift[ing] power… away from existing centres [and] into the hands of communities and individual citizens” (CLG report, 2008: page 1). These reports/papers are a timely contribution as there has been research which suggests that 63 per cent of local residents do not feel they have any influence is decisions made by local councils and governments, and more generally, only one third of people vote in local elections. So there is a distinct sense of apathy which is a barrier that needs to be addressed if the goals in the white paper are to be achieved. That said, community involvement has always been part of the ethos of local government. Councils and boroughs have often engaged with local residents in innovate ways in order to gain their opinions/help in their administrative and bureaucratic processes. From the improvement of services, influencing important budgetary and regeneration issues to running local services; there are a number of ways in which the council can engage with local people. For example, councils already have an obligation to involve their community through the ‘Statements of Community Involvement and Planning Application‘ procedures required for all planning documents. So, there is a sense that the recent white paper(s) is(are being) aimed at building on existing processes by local governments as well as stimulating a fresh impetus, yet there is huge room for improvement. Because in parallel to this, the increased technological participatory powers of citizens through the Internet and Web 2.0 techniques, has meant that the technological barriers to entry for community or civil engagement have been lowered, and the uptake of information from a variety of sources has intensified. Governments across the world and at various levels (federal, national, state level, local and district) have started to embrace this technology to further their reach and to encourage feedback and participation. Hence, while the perceived apathy of community engagement in local government decisions is therefore one considerable barrier to entry for some people, techniques such as open-sourced websites, blogs, wikis are all facilitating the way in which information can be fed back from residents to governments, and are relatively inexpensive to implement; shortening the distance between decisions of the collective and the results of those decisions. We have already seen how Web 2.0 techniques were used strategically by Barack Obama’s campaign in the presidential victory of 2008, and now the White House has a specific technological ‘new media’ director to aid in its Web 2.0 capacity. However, as yet, there is still very much a digital divide in the UK with 26 per cent of the UK population unable to receive a digital broadband connection. Lord Carter said in a recent NESTA speech that he wanted a minimum of 2mbps for all homes in the UK, however this has been criticized as not being enough for modern day Internet usage. And at any rate, if the research by Point Topic is anything to go by, then there is still a lot of work to do (particularly in Northern Ireland). Charles Leadbetter has questioned the effectiveness of this policy on the growth of the creative industry sector by suggested that the increase of broadband to the population will only serve to increase user-generated content and therefore decrease the market share/penetration of large media corporations and perhaps stifle the growth of the industry. This may be true, but in terms of creating a platform for local voices to effect local government then this policy is a must. Community Informatics is a burgeoning discipline, but it seems to tie in with the processes of increased technological capabilities of civil society in effecting local policies and change, particularly for disempowered or marginalised (socially, economically and geographically) communities – with the recent papers by the government and its shadow have argued for. So, it is important to question Lord Carter’s proposal as being too narrow or not enough for the needs of modern creative industries in the UK (which as we are being reminded are the panacea for the world’s current economic turmoil). However, by increasing local engagement with local governance, the broadband roll out, however small in terms of badnwidth, could be crucial as it seems to be a genuine and achievable option. Both the government and the conservatives have said they want to ‘decentralise’ power, so for all that entails, a digital Britain is crucial. Categories: Community Engagement, Community Informatics, Creative Industries, Innovation | Tags: Community Engagement, Digital Britain, Local Politics | Permalink.